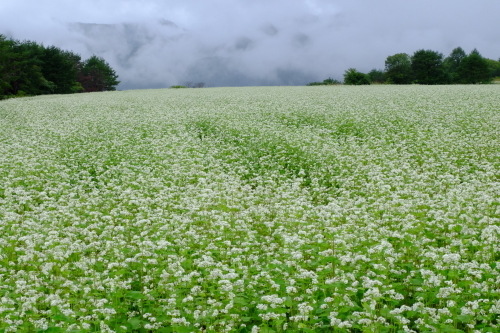 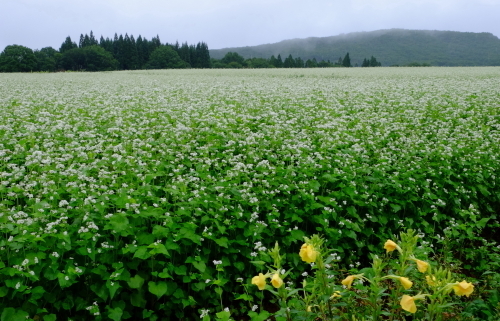 The white flowers of "Sarugaku plateau"
Aizu ShimogoSarugaku plateau is a buckwheat field of Japan, The more vast buckwheat fieldreminiscent of Hokkaido. 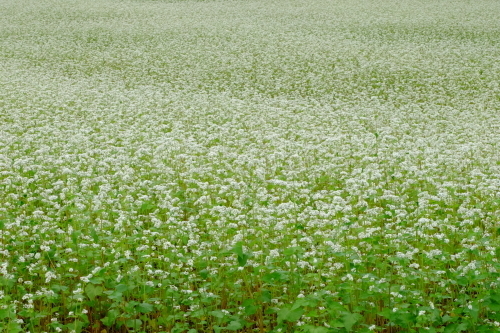 Wind blowing to plateau at an altitude of about 700mis to r a very refreshing. 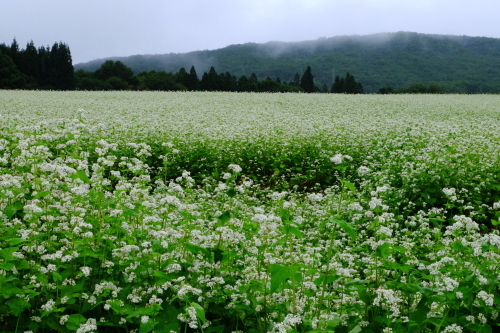 Gentle hills near the buckwheat flowers points toheaven comfortably.